Every now and then, Mother Nature takes out her fury on the midwest, leaving behind a streak of floods, downed trees, and devastating damage on roofs that require immediate attention. That’s where Renovation Team stands out as your most important resource among local roofing companies in the area. We work extensively with you to help you recover from hail damage. 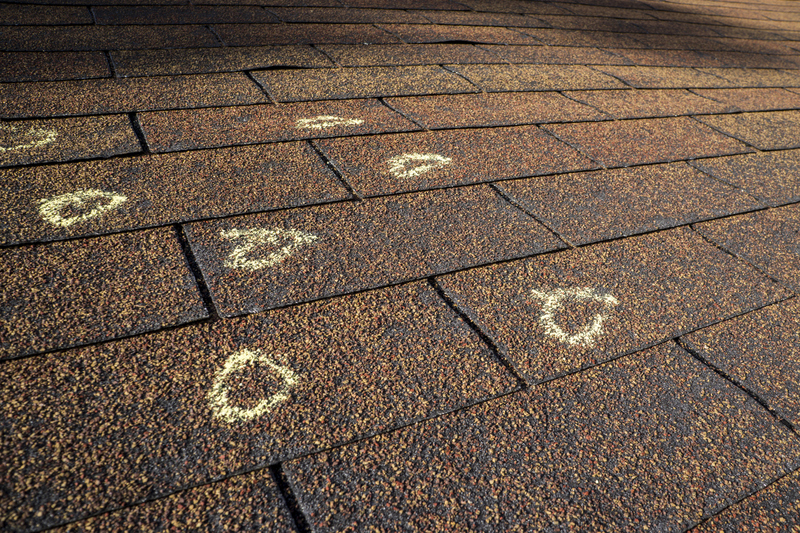 Our professional roof inspectors will quickly determine the extent of the damage, make a plan to repair the problem areas, and restore your peace of mind. Banged up roofing materials: The impact of hailstones and high winds can easily crack or loosen shingles and roofing tiles, exposing the underlying roof deck. 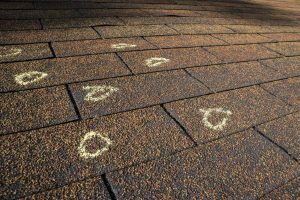 Bruising: Even if the shingles can withstand the initial barrage of hailstones, the repeated impact on the surface can exact its toll in the form of tiny perforations in the shingle itself, which gradually allows water to seep in. One of the easiest ways to identify this damage is to check your gutters. If there is an excessive shingle granule buildup in the troughs following a hailstorm, then you know the roof has been bruised bad. Water damage: Hail is nothing more than ice pellets falling at extreme speeds and break against your roof, causing water to seep through cracks in the roofing material. We’ll be glad to hear from you! Contact us now! Call us today at (636) 939-1061 or fill out our contact form for a FREE consultation and quote on your hail damage restoration needs. We look forward to working with you.